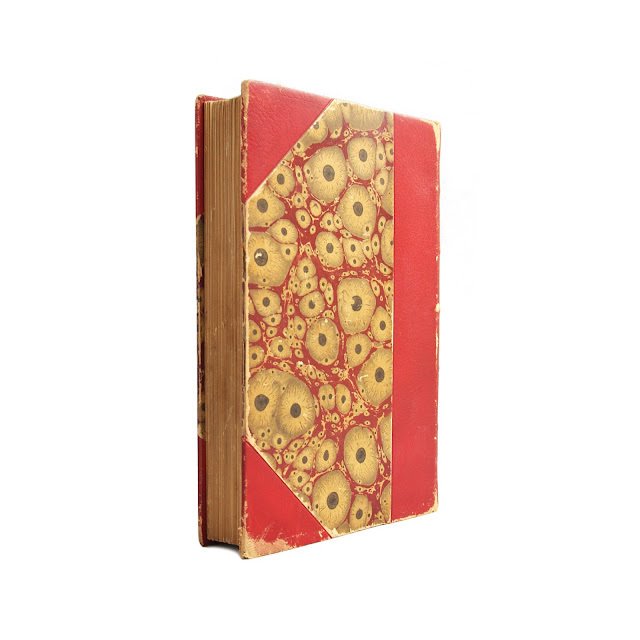 This antique hardcover novel is bound in unusually-patterned boards -- a marbled "eyeball" design. 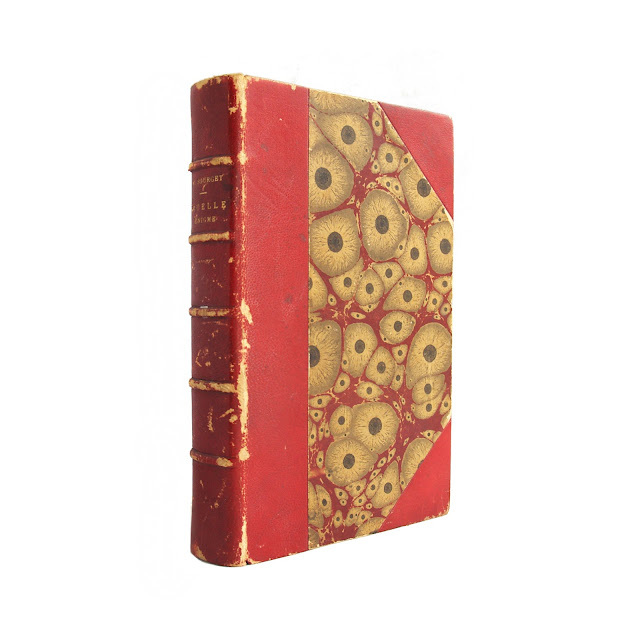 Leather is red, with five raised bands on the spine, and bright gilt spine lettering. 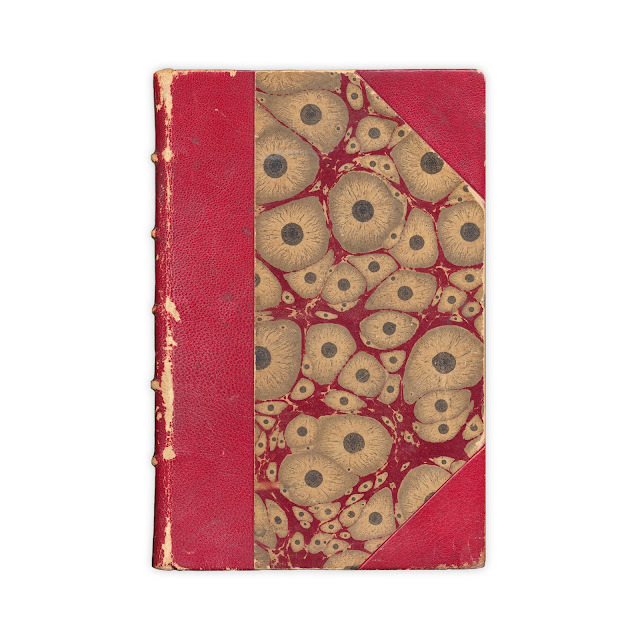 Bands are worn, as are edges; pages are tanning; soil. 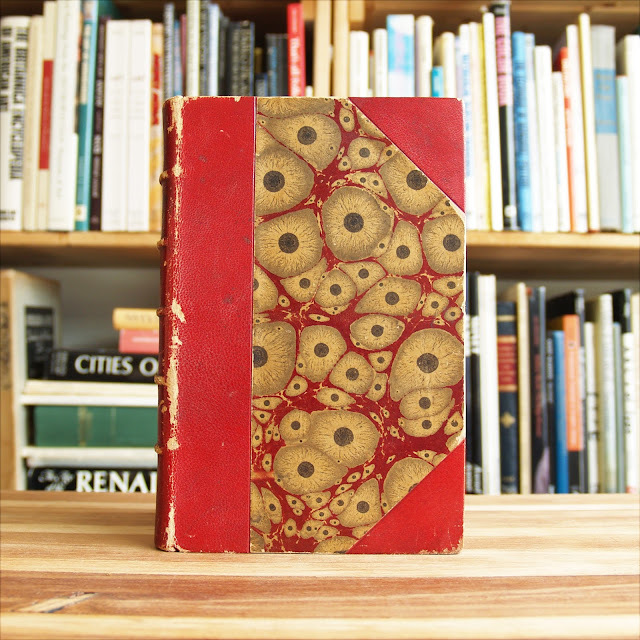 Top edge is bright gilt. Inner boards are marbled. 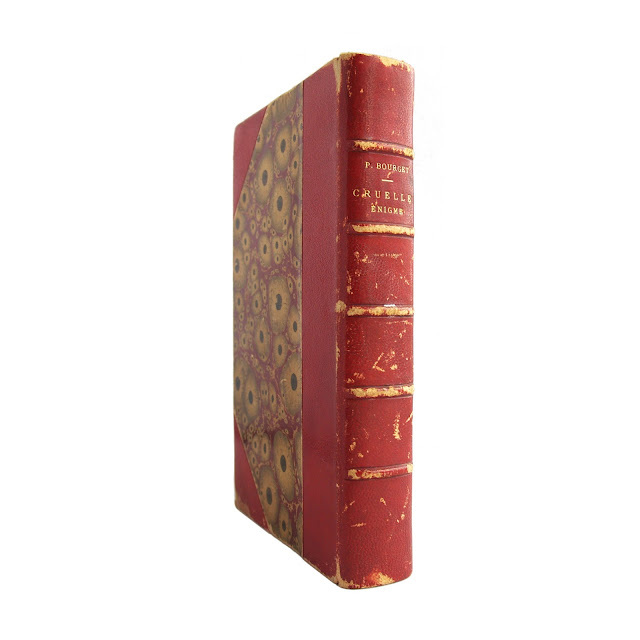 All text is in French; it would appear that this is a limited or decorator's edition, as the text "25 exemplaires sur papier du Japon et 25 exemplaires sur Chine; Tous ces exemplaires sont numerotes et parafes par l'editeur" appears. 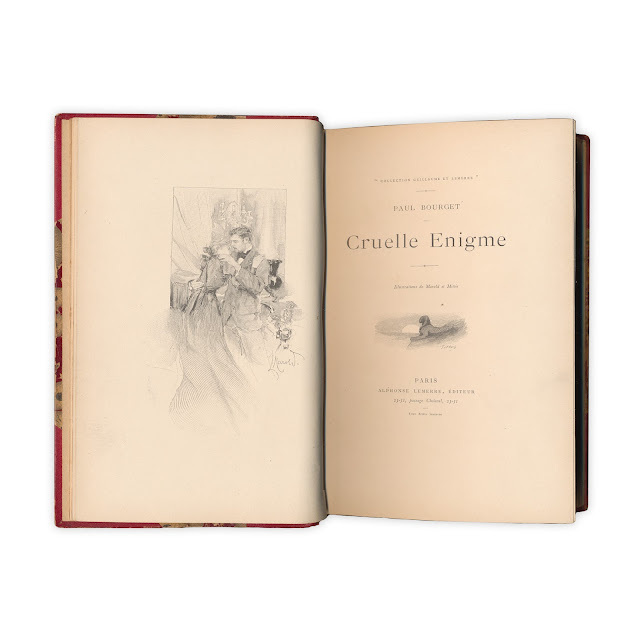 Numerous full-page and smaller illustrations throughout; paper is heavy and of a good quality, with generous margins on each page; unmarked pages throughout, save for gift inscription on front endpaper. 287 pages; approx. 5"x8".